Our vintage style metal bed is newborn size and a lovely prop for your newborn photography shoots. 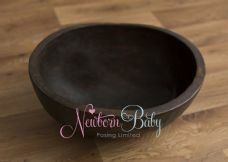 Our bowls are great for either newborn photography or sitter photography where baby can sit unaided but can't yet crawl. Our photography props are always selected for the newborn & baby photographer and are a perfect size.